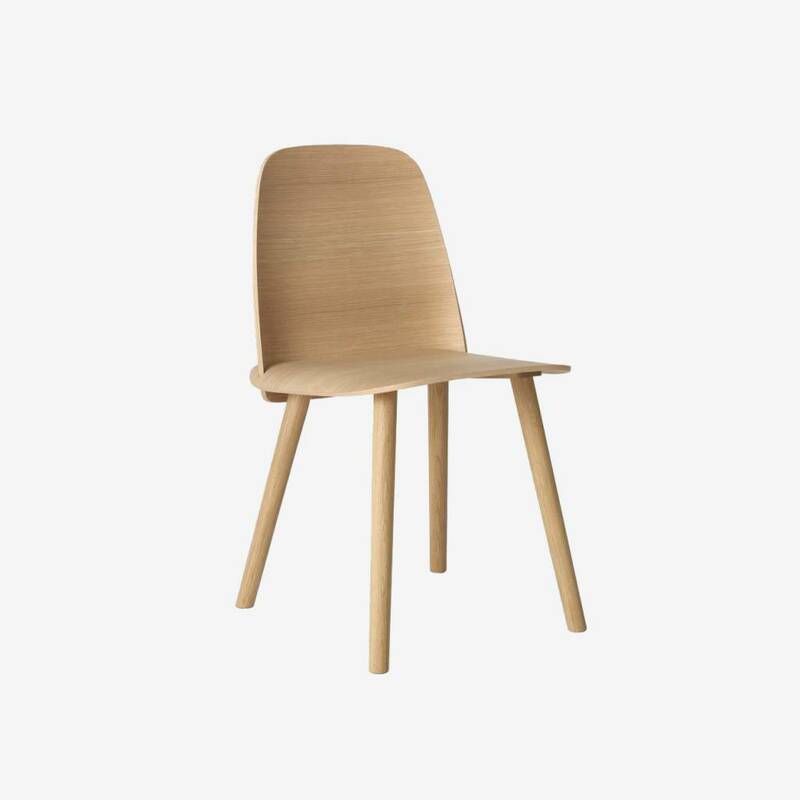 The NERD chair is a modern Nordic take on the iconic all-wood chair that effortlessly reflects its classic Scandinavian design heritage. The seamless integration of the NERD's back and seat is a unique feature providing both enhanced comfort and an inviting personal look. Crafted with the highest quality materials, the NERD chair provided the winning design for the Muuto Talent Awards 2011. Material: Lacquered ash or oak wood, felt pads.